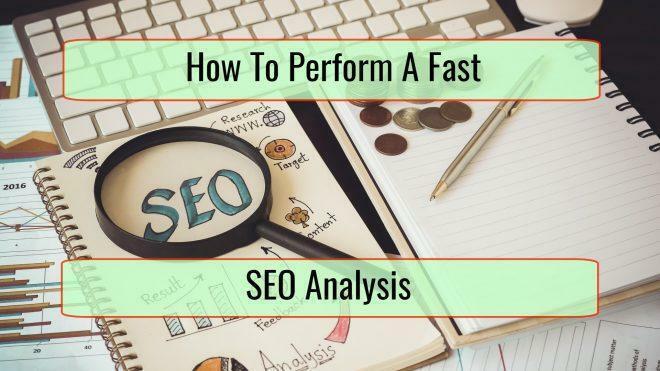 Running through a quick SEO analysis for your website provides actionable information about where to make tweaks. Making these changes once identified often leads to an improvement in search engine ranking positions for targeted search terms. Due to the ever-evolving nature of how search engines operate and what is expected from a site, it’s important to perform a semi-regular review of the site to identify and fix any potential issues before they hurt the site. Let’s now examine how to perform an audit of your site quickly and efficiently to locate problem areas. Is the Website (Still) Showing in Google? It’s possible to forget when launching a website to unblock indexing. The blocking is usually done through the Robots.txt file that disallows indexing in search engines while it’s under development. There are also various SEO plugins for WordPress that can do the same thing. It’s easy to forget to enable indexing once the site is launched. To check whether the site is indexed, load up Google and enter: “site:yourwebsite.com” in the address bar near the top of the web browser. The list of currently indexed pages should display on the page which confirms the site is known to Google. How Does the Site Look in Search Engines? Look at the way the information is conveyed. Do the titles of the pages, the URL and Meta description below the title look good? Is the meta description applicable to each page or is the same default description used over a few pages meaning it needs to be rewritten? The meta description is up to 150 characters or so. It provides the opportunity to describe what’s on that page and should encourage the searcher to click on the link. Including relevant search terms in the meta description is also useful and often gets highlighted by Google when the searcher uses those words in their original search. For a more in-depth review of what Google has indexed, you can check out their Search Console. Log in and navigate to the ‘Index Status’ area to find more information. Check on the recent traffic to isolate if there’s been a recent sudden decline in traffic that’s indicative of a problem. You can either check your analytics package such as Google Analytics, the web host provider’s analytics, or use a site like Alexa to get a general idea. Should your site get hit with a Google penalty, this will show in the ‘Messages’ section of Google Console. Verify whether there are any messages to be concerned about and if there are, thoroughly go over them to see what the problem(s) are. Then get assistance on how to handle whatever the problem is until it’s resolved. Performing a speed test of your site can help determine if there’s an unknown issue that’s slowing access and could be causing visitors to leave prematurely. This might be due to the site’s configuration, being poorly optimized, slow web hosting or a number of other factors. Use Google’s Page Insights to check site speed on both desktop and mobile. Also, try Pingdom or GTMetrix too. Several of these sites provide suggestions on what to optimize to get a speed boost after they’ve completed their speed test. 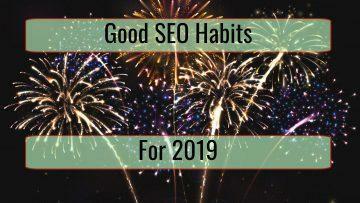 There are sites like Ahrefs, SEMRush and tools such as Spotibo that can help identify some of the above potential issues. Some of the factors, like having descriptive titles with many keywords without being overly optimized, is something that needs to be examined by hand. Broken links point to another page on your site or to an external site and they aren’t resolving. In other words, the page (or site) no longer exists and the visitor is getting a 404 error in their web browser. It looks sloppy. A scan should be run every month to check for these. The Google Console keeps a track of broken links that Google finds on the site under ‘Crawl Errors’. If you’re using WordPress, WP Broken Link Status Checker or Broken Link Checker plugins (the latter hasn’t been updated in three years) can scan your entire WP installation for broken links. There are also several websites that can perform a live scan for you. Too many undesirable backlinks pointing towards your site can negatively affect its ranking position and subsequent organic search traffic from search engines. Search for your inbound links in Google using “link:command mysite.com”. Alternatively, use a tool like Ahrefs to see your inbound links that have been found. It’s also possible to use Google’s disavow tool to submit a list of undesirable links that were ignored by the search giant. Several SEO tools including Moz can confirm the current spam score for your website. This is intended to give some indication of a potential looming problem. A low spam score could be because of low quality inbound links or other factors that negatively impact it. An SEO audit doesn’t need to take long. There are plenty of online tools to verify quickly whether there are any obvious issues to be aware of and set about fixing. The time taken to fix any issues found depends largely on what they are, their severity and how many problems were found. However, the sooner they’re resolved, the better. This avoids them hurting the site in the future.